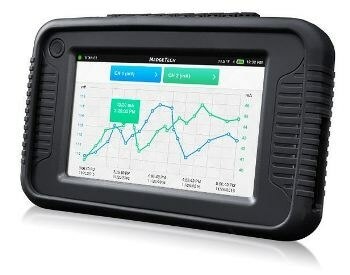 The Titan S8 is a portable data acquisition logger that exhibits both exceptional industrial toughness and scientific accuracy to create a powerful, precise and versatile standalone logger. Applicable in a wide range of environments including both laboratories and factory floors, the Titan S8 improves ease- of-use by simplifying complex validation tasks. This process simplification is a result of the Titan S8’s eight input channels and full-color, user-friendly touchscreen interface. 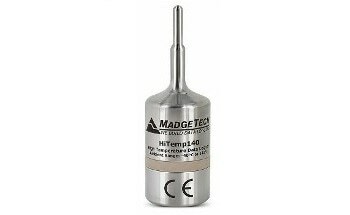 These allow this device to provide users with valuable and real-time data on the temperature, pulse, current, and voltage, without requiring the use of a connected PC. 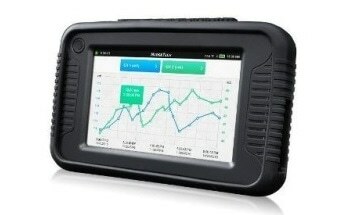 As an ideal tool for any service, equipment or compliance engineer, the Titan S8’s handheld portability and shock absorbing potential allow these users to acquire powerful and instantaneous data in almost any environment or application. 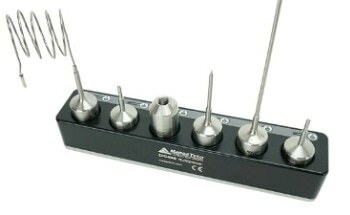 Dimensions 6.65 in x 4.40 in x 1.41 in (168.9 mm x 111.8 mm x 35.8 mm) Data logger only. 5 in touch screen.